Don't get burned this winter using inferior gloves. Get a head start on a wonderful season of making fires and lighting stoves with these Copperfield Black Cowhide Fireplace Gloves - 71210. These tough, fire-resistant Copperfield gloves allow you to build and maintain fires in the fireplace or the stove without your hands turning out medium-well. Let's face it, keeping a fire going is hot work for the man or woman in charge. Handling firewood all day is no piece of cake, either. You need a tough pair of gloves that can knock down the heat while you add wood. That's exactly what you'll get with these quality gloves. 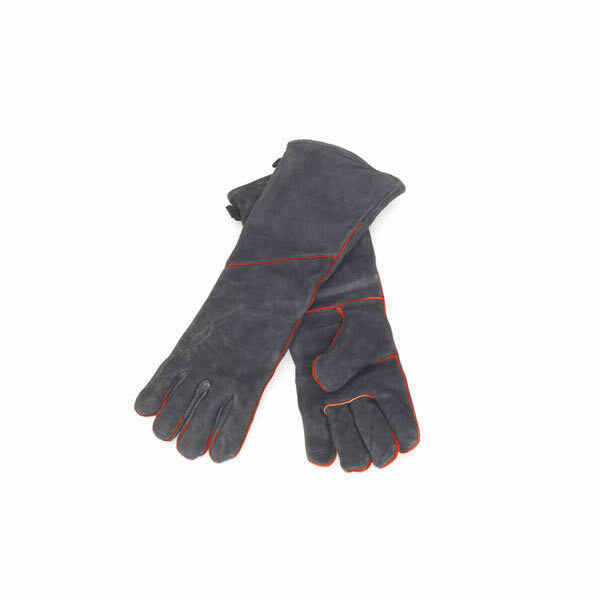 These Copperfield fireplace gloves are the protection you need from abrasion, heat, and the elements. If you're thinking about risking it this year, think again. You'll be patting yourself on the back the first time you use these Copperfield Black Cowhide Fireplace Gloves - 71210 for a cool-handed, splinter-free fire building experience. What size are these gloves? These gloves do not have a listed size, and are considered "one size fits all." One never knows what to expect when ordering online, but to say that I�€™m pleased with my Copperfield Fireplace Gloves would be an understatement. I have purchased such gloves from big box home improvement centers, but have been disappointed with the quality and durability. These gloves exceed my expectations. I�€™ll be fully convinced once I use them for a full heating season. ProsHeavy duty and comfortable. Long sleeves ensure protection no matter how far you reach into the burn box. Very Nice. Exactly as described in the website. Shipping was prompt. Gloves are perfect and are much better quality than ones I have used in the past. Over all, great experience and a great price. Thank you! Hearth gloves should not be thin and flimsy and these are not! When I need new ones, I will definitely look to buy the same ones. I especially like that they are long enough to protect your arm from the heat. These gloves provide good protection from burns as they are long enough to cover my forearms. We run our stove day and night from November to April and a pair of gloves lasts between one and two seasons. The fingers usually start to wear out first.